If we’re not careful about what we decide to allow in, it will become a nagging fear that lives in the back of our minds. Nagging fears are not good things for our bodies, as our bodies head in the direction of dominant thought. If our dominant thoughts are ones of health, those are healing and strengthening for our bodies. If they’re thoughts of fear, cancer and death, those are not healthy for our bodies, as proven time and time again in Placebo and Nocebo research that’s been done over the years. As a hypnotist, I’m hyperaware of language and how our subconscious minds process language. What people say, especially what our doctors say because they’re the “experts”, become thoughts. Repetitive thoughts become beliefs and beliefs become emotions. Both of which express in our bodies. In the book, “You Can Heal Your Life”, Louise Hay helps us understand what thoughts/beliefs might be at the root of our dis-ease. In the case of breast cancer, she has noticed, as have I, a consistent pattern in women who suffer with this diagnosis which is the inability to say “No”. The breast represents nourishment and can become unhealthy in those who nourish everyone else and do not nourish themselves and/or feel guilty about taking care of themselves over others. 2. If you’re a people pleaser, and drain yourself trying to pump up others, hypnosis can help. It can help you understand where this pattern of putting yourself last started, and can help you understand that you are just as worthy and deserving of care as all others. That it’s OK, in fact healthy, for you to take care of yourself first and then others, and that you are the only one who can truly take care of you, no one else can do it. It can also help you understand that the major teaching you’re here to share is that we all have the ability to take care of ourselves once we’re out of infancy. Teaching someone else, namely our children, how to care for themselves is far more powerful than us taking care of them. Teaching a man to fish is far more valuable than handing a man a fish. 3. Reducing or eliminating sugar intake. Patrick Quillin, PHD, RD, CNS, former director of nutrition for Cancer Treatment Centers of America wrote, “It puzzles me why the simple concept ‘sugar feeds cancer’ can be so dramatically overlooked as part of a comprehensive cancer treatment plan.” Cancer cells love sugar! That is why refined carbohydrates like white sugar, white flour, high fructose corn syrup, alcohol and soft drinks are extremely dangerous for anyone trying to prevent or reverse cancer. Hypnosis can completely alleviate cravings for all such sugary foods and drinks completely, and in many cases in a single session. 4. Boost your immune system. Sugar amongst other things, such as stress, can negatively affect the strength of the immune system. The subconscious mind, which is the part of the mind that’s accessed during hypnosis can easily identify and clear any blocks that are in the way of your immune system functioning at its peak performance. When our immune system is strong it can detect bacteria, viruses or rogue cells that should not be in our systems, as well as help the body rebalance and heal. These are all preventative measures. 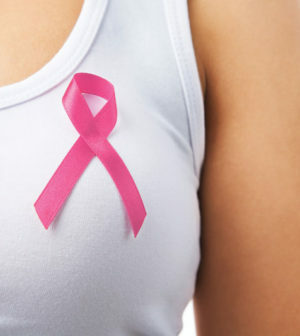 Should you be someone who’s been diagnosed with breast cancer, hypnosis can help you in a number of ways as well. 1. Your subconscious mind can help your conscious mind understand the origin of the cancer. I know that sounds far-fetched, but it’s true. Everything, even cancer, has a beginning. Whether that beginning was a thought, a belief, an emotion, an event or a toxin, the subconscious mind knows. And once the origin is known it can be addressed vs. being a mystery. If it is a belief or a fear that can be changed and cleared and once the energy at the origin of the disease is gone, the energy of the dis-ease itself is weakened and easier to treat. Remember, quantum physics proves that everything is energy, even cancer. 2. Clear the natural fear and panic that comes with a cancer diagnosis. When we’re in a state of fear it’s very difficult to think straight and make the decisions that need to be made about the best course of treatment. We can often feel pressured by the medical community or by friends or family, which doesn’t make it any easier. Hypnosis can lift you out of the cancer chaos and help you very clearly see the pros and cons of different options and make decisions that feel right vs. those that just seem to make logical sense. 3. Preparation for treatments. If you do decide to go with the conventional treatments of biopsy, lumpectomy, mastectomy, radiation or chemotherapy, hypnosis can help by preparing you for surgery or treatments so that you’re going in with a positive and confident mindset vs. a state of fear and apprehension. Research studies also prove that hypnosis can help mitigate side effects including nausea, vomiting, lack of appetite, stress, anxiety and hot flashes. Lastly, hypnosis can help, if you’re grieving the loss of a loved one from this disease. Whether she was a beloved grandmother, mother, wife or daughter, hypnosis can help lift your grief and help you move forward and live a full and happy life. Your subconscious, otherwise known as your inner physician and spiritual counselor, can help you navigate this challenge and even find the valuable lessons that you’re intended to learn from it and yes, even a silver lining or two. Lisa Zaccheo, MA, BCH, BC” is the owner, lead hypnotist and hypnosis instructor at Mind Matters Hypnosis Centers in Avon, Rocky Hill, Guilford and North Branford, CT. She is Board Certified by the National Guild of Hypnotists and has numerous additional certifications in all aspects of hypnosis and the subconscious. In addition, she’s a sought-after lecturer and high-level Executive Hypno-Coach. For more information or to schedule a lecture, workshop or appointment, call Mind Matters Hypnosis Center at (860) 693-6448 or visit: MindMattersHypnosis.com.